We had a great weekend as a family in Swallows Nest. 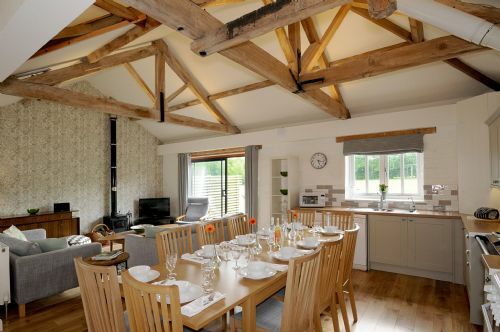 The two adjoining cottages fitted our needs with a large dining area in one and plenty of bathrooms and bedrooms for a party of five adults and four children. So well equipped too. We had dreadful weather on one day and the games room and swimming pool was a lifesaver with the children. When the weather improved the outdoor playing area and Wendy houses were a winner.